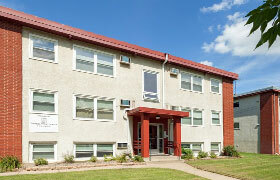 Buron Lane Apartments feature 1- & 2-bedroom apartments for rent in South St. Paul, MN. The community is situated on a cul-de-sac nestled on the Mississippi river bluffs. The professionally managed property features controlled entry, off-street parking, garages and shaded green spaces. Buron Lane Apartments are pet friendly, welcoming cats. Buron Lane Apartments feature a variety of desirable amenities. 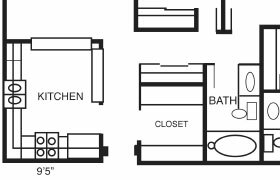 Buron Lane Apartments feature one- and two- bedroom floor plans. 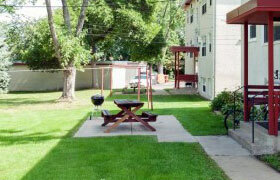 A variety of photos highlight our property on Buron Lane in South St. Paul, MN.